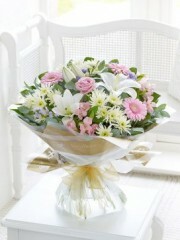 Is a friend, member of your family or loved one feeling under the weather? 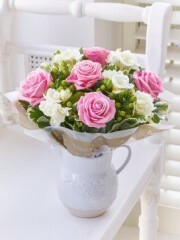 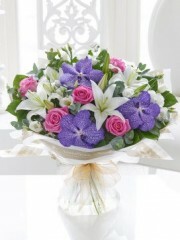 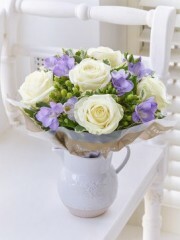 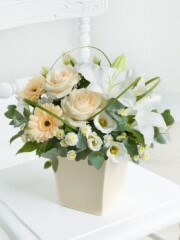 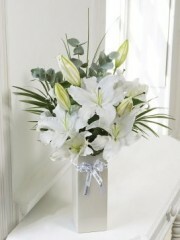 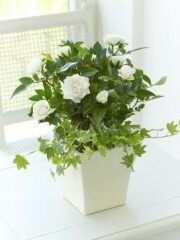 Why not send them a gift or floral arrangement from Four Seasons Florist in Edinburgh. 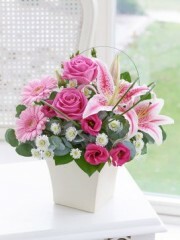 Our friendly staff can help you choose the right gift to send and can send it same day or next day delivery. 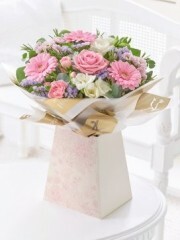 Cheer up this person with a box of chocolates, a tatty teddy, balloons, wine, champagne or even a lovely fruit basket. 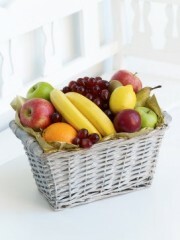 We have the Tropical Fruit Basket which is packed full of delicious exotic fruits, sure to brighten their day. 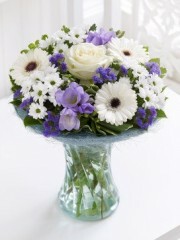 Of course you could send a traditional bouquet or basket of flowers if you wish to put a smile on their face with vibrant colours, for example - our Germini Perfect Gifts. 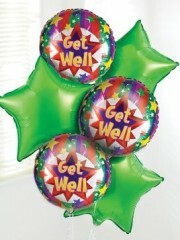 You will certainly get a giggle out of them with our exciting range of Get Well balloon bouquets. 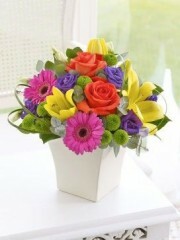 For more ideas on Get Well Gifts, contact us via email or telephone and put a smile on someone’s face today.